"Put yourself in the right position and it’s like a gravitational pull – all that goodness is going to keep coming,” Alexis Blake said. The Eastside YO center is managed by the Historic East Baltimore Community Action Coalition (HEBCAC) through funding from the Mayor’s Office of Employment Development. YO serves out-of-school and out-of-work young adults between the ages of 18 and 24. It provides a full range of academic support, job readiness and employment and skills training opportunities. It took Alexis about a year to complete her GED tests and during that time she worked closely with the YO job developer. “They connected me to lots of jobs and I went on so many interviews but I kept hearing no. I kept hitting a wall.” Alexis remembers. In 2013 YO referred Alexis to an AmeriCorps program with Civic Works. She worked on the Community Lot team for two years. The staff helped her obtain a driver’s license and she earned multiple certifications relating to the construction trades. “One thing I’ve learned how to do is to introduce myself and build a relationship with the adults around me,” Alexis shared. “Listen to your elders; they’ve been there before you,” she said. After her AmeriCorps term ended Alexis worked at Food Depot for a few months and then decided to be of greater service and join the Public Allies team from 2015 to 2017. Public Allies is a national movement committed to advancing social justice and equity by engaging and activating the leadership of all young people. Allies are placed with a nonprofit organization where they help address critical community needs such as youth development, education, workforce development, environmental issues, arts programming and community health. Alexis learned a lot about the nonprofit world while serving as an Allie. Her first year she served as a Peer Support Specialist at the YO center. “I learned about nonprofit services and operations and it helped me to see more varied career opportunities,” Alexis said. “I enjoyed working with my peers and guiding them through some of their struggles. 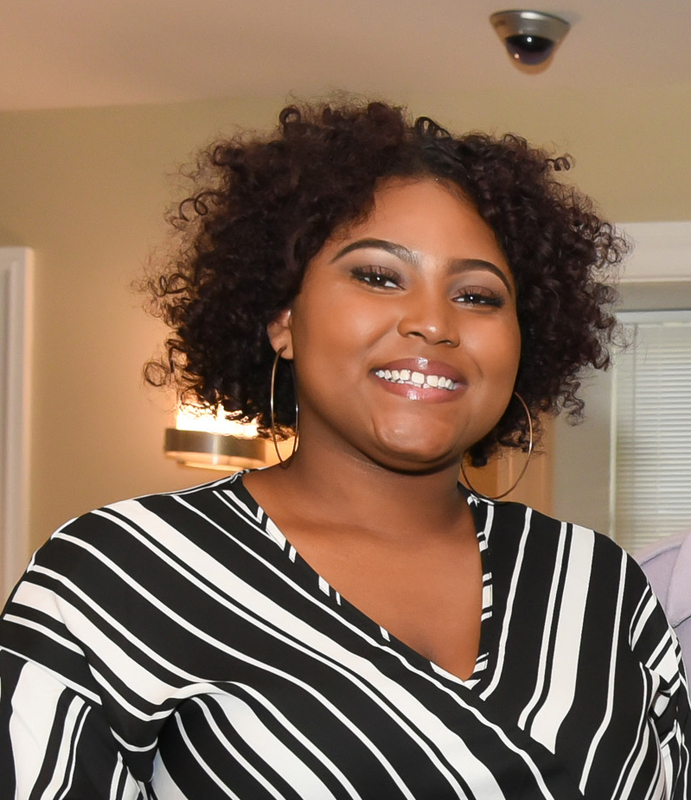 There are a lot of resources in Baltimore and being an Allie helps you to build a strong network with caring people and to know what services and opportunities are available throughout the city,” she said. For her second year of service, Alexis worked with homeless youth at the YES Drop-In center as a Peer Advocate. Currently, Alexis is working for SAS Retail Services as a merchandiser. SAS helps the nation’s largest food retailers in redesigning sales displays, opening new sites and installing targeted merchandising areas. 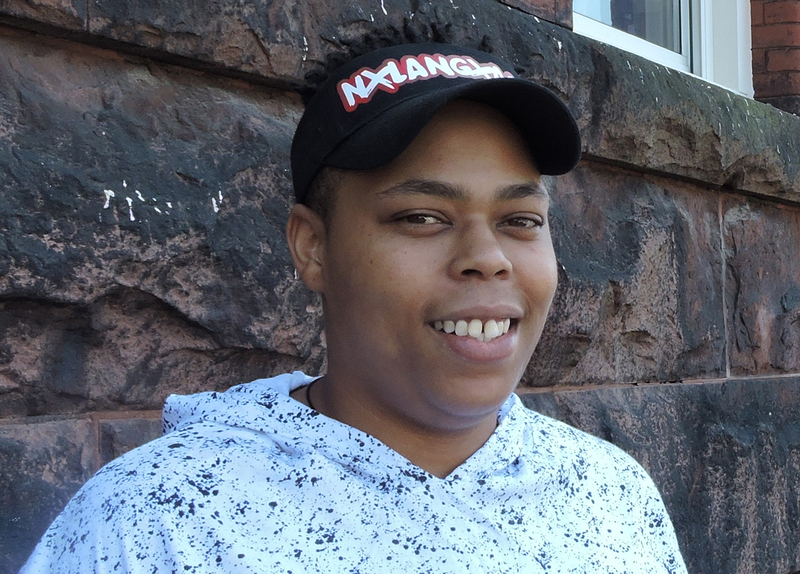 “I love my job, I can support myself and a car and I have good benefits,” Alexis said. “I get to go to a different place each week, work with a great crew and meet new people throughout the mid-Atlantic area,” she added. Alexis’ five-year plan includes starting her own clothing line and, if things go well, increasing her income. “I have ideas for a clothing line and I collaborate with local artists who can put my vision on paper. I’d describe my designs as innovative, comfortable and youthful,” Alexis said. YO has given Alexis a lot of opportunity to coach and mentor other young people who are facing struggles in their lives. “I tell them you’re life depends on it. Stay focused and work hard. You’ll have your own ‘aha’ moment. That’s something that is just going to hit you someday,” Alexis said. “Look at what you’ve been through already and use it as your cheat sheet for what not to do again!” she added.